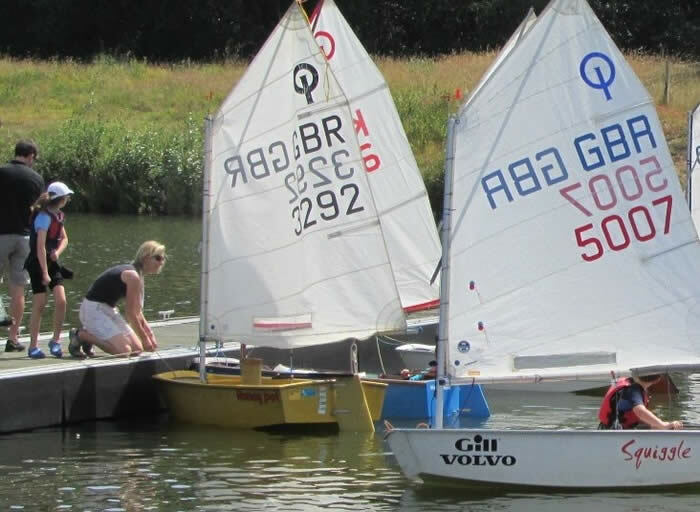 Papercourt offers sailing for everyone, from the thrill of racing, to gentle cruising on a warm summer evening. Saturday 27th April is our Open Day - a chance for you to experience the fun and excitement of sailing for free. 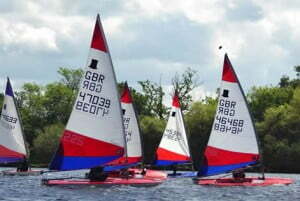 There will be a range of different boats, and experienced sailors to take you out on our beautiful, safe lake. Parking is free and we’ll provide all equipment - just bring a change of clothing and footwear in case you get a bit wet! There’s no need to book - just turn up on the day, and see why sailing is such a great activity for all the family. So you don’t miss the date we’ve created a poster you can download. We look forward to seeing you at our Open Day. If you have any queries in the meantime, please email either papercourtyouth@gmail.com or info@papercourt-sc.org.uk. 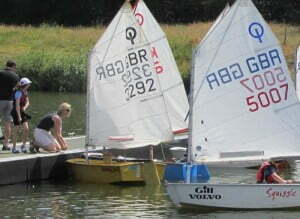 Papercourt Sailing Club is extremely friendly and inclusive. It is run by the members for the members. 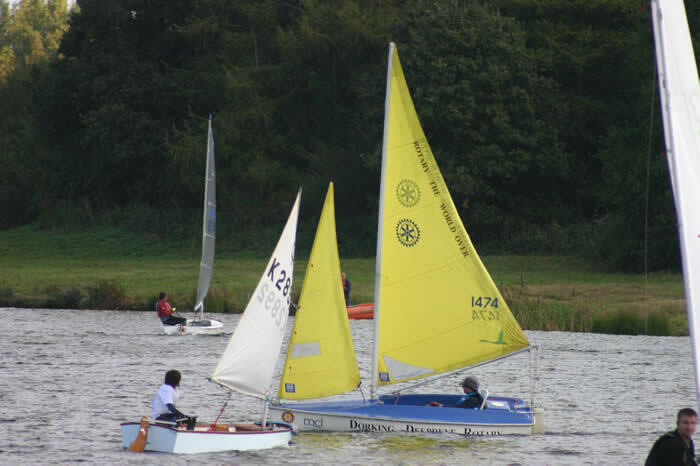 We provide first class facilities and a wonderful, safe environment in which to learn and sail on our own 45 acre lake which is easily accessible near to junction 10 of the M25 and the A3 at Ripley in Surrey. Download a copy of our brochure here. You can learn to sail here in our vibrant youth programme, which has over 150 children, or our adult training programme, enjoy our racing, which runs all year round, or just cruise. You can join the Club as a non-sailing individual or family, without owning a boat, learn to sail at very reasonable cost, make loads of friends, and get friendly advice about which boat to buy. Read more. Papercourt’s Solo travellers have notched up more successes. At the recent Inland Championships James Boyce came third; and at the Hayling Island SC open meeting Fraser Hayden came fourth. Last month 21 Papercourt youth sailors took part in the RYA British Youth Sailing London and South-East Regional Championships. 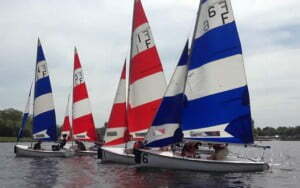 The event attracted over 130 entries in Oppies, Toppers, Fevas and Teras, and for many was an indicator for zone squads. Papercourt sailors took five of the top ten places in the Oppie fleet; won overall in the Topper fleet; and were placed second overall in the Feva fleet. And to top it all, Papercourt was awarded the Development Trophy for the club with the most increased number of entrants. 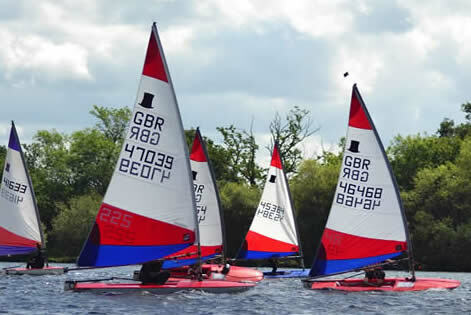 In July seven members went to Hayling Island for six days of racing in the 2018 Solo Nationals. James Boyce achieved a best race result of 4th and came 14th overall, and Fraser Hayden came 29th overall. Not bad out of a total of 103 sailors! Not to be outdone, at the beginning of August six Papercourt sailors took part in the first week of the RS Games in Weymouth. An incredible 206 Aeros and 150 Teras competed in the 2018 Aero and Tera World Championships. In the Aero 5 fleet Mark Carleton and Kate Wharmby came 18th and 38th overall respectively; James Witts came 21st overall in the Aero 7 Gold fleet and Neil Wharmby came 15th overall in the Silver fleet; and Tom Wharmby came 47th overall in the Tera Pro fleet and James Carleton (junior) came 6th in the Tera Sport Silver fleet. And then 14 young Papercourt sailors went to the 71st UK Optimist Nationals at Pwllheli, where a whopping 385 boats were split over four fleets. Best Papercourt performances of the week were 8th overall in the Main Fleet – Junior Gold and first in the Regatta Racing Fleet. In addition one Papercourt sailor was selected for the late summer IOCA training camp.